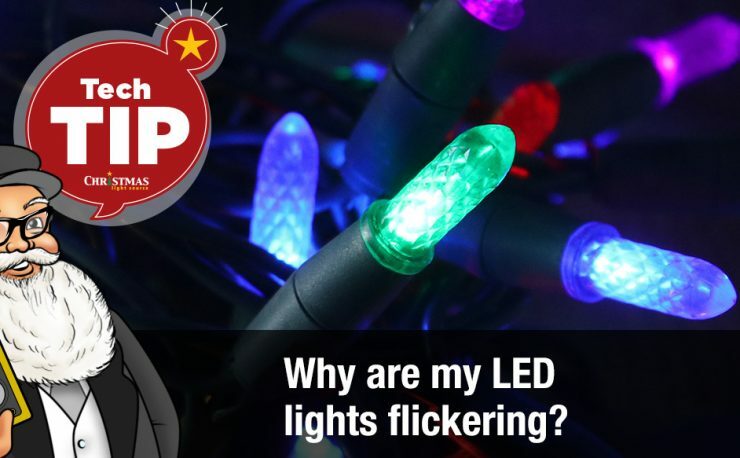 This is a pretty popular question when it comes to Christmas lights. The answer is simple but simultaneously complicated. Here are a few guidelines but for all things electrical, consult with a master electrician when making decisions about your project. Every light string on our website should have a maximum connectivity rating. 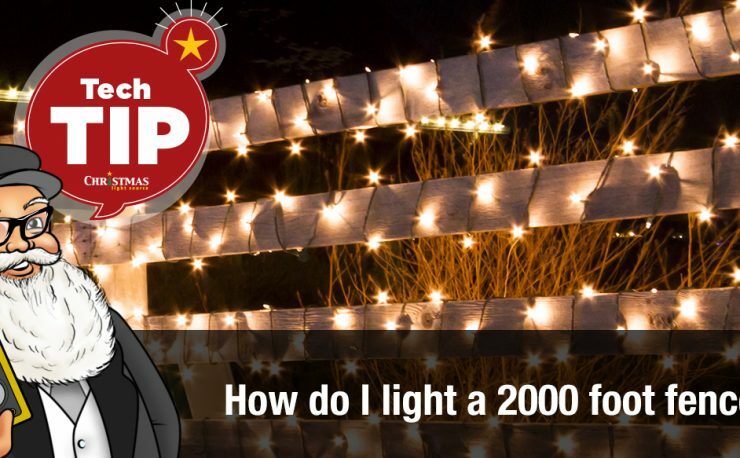 The maximum connectivity for pre-wire light strings – mini lights, craft lights and LED Christmas lights is based on the UL (Underwriter’s Laboratory) maximum connection guideline of 210 watts. So, maximum connectivity is calculated by dividing 210 watts by the number of total watts required by the light string you are considering. For example if your light string is rated at 20 watts, then you can run a maximum of 10 strings together in series. 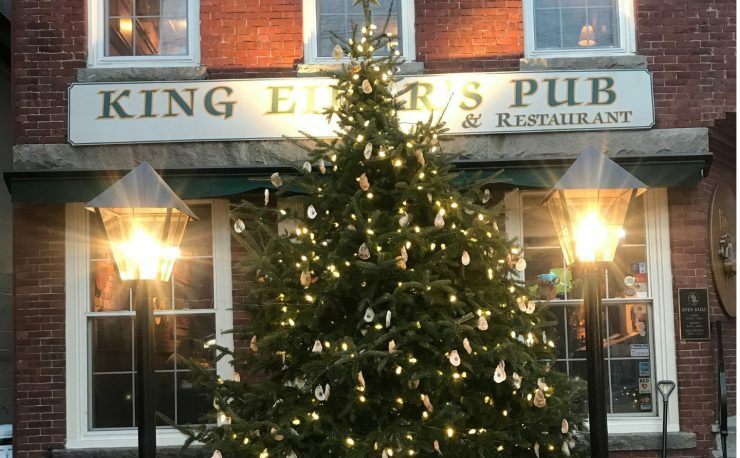 Now you can see why LED light strings can be run with so many more in series than traditional incandescent mini lights that require up to 10 more times the power to operate. UL can change their suggested ratings and we change our specifications to reflect that. Guidelines 18 and 20 AWG C7/C9 Bulbs and Cords Here are the basic rules about our C7/C9 cords. 1. Connect no more than two 20-AWG 25-foot cords in series in a single run. For LED bulbs the maximum number of bulbs you can run in series has less to do with the bulbs specifications and more with the light line length for 18 AWG wire which is 250 feet. This means that even if you are using a .86 watt LED bulb, you can’t run more than 250 feet of cord. We’ve had customers call in who have received bad information and are under the impression that if they use LED bulbs then they can run 1000 feet of 18 AWG C7 or C9 stringer wire in series. THIS IS AN ELECTRICAL HAZARD. The wire itself will become a fuse and is a fire risk. That’s the biggest advantage to pre-wired LED strings is that you can run 20-88 strings of lights in series. But that’s on 20-22 AWG wire with 3-wire engineering. Totally different lighting. Again, take time and spend $50 for an hour of an electrician’s time to make sure your custom work is electrically correct. 2. Answer based on the electrical service you are plugging them into. As we mentioned above, keep track of the total number of runs of lights or cords/bulbs as you are splitting them off of your extension cords and splitters and take care not to exceed 85% of the wattage of your breaker. For a common household breaker, use a rule-of-thumb not to exceed 1400 watts per plug. If you have a larger breaker and have verified that your NuWave Oven or your Microwave isn’t on the same circuit and electrician might tell you that you can work with a different number but we like to be safer than sorry. By the way, that doesn’t mean per outlet but per breaker. <smile> You may have multiple outlets on a single breaker so be sure to keep track. Again, better to shoot for a lower number than risk maxing out your breaker. 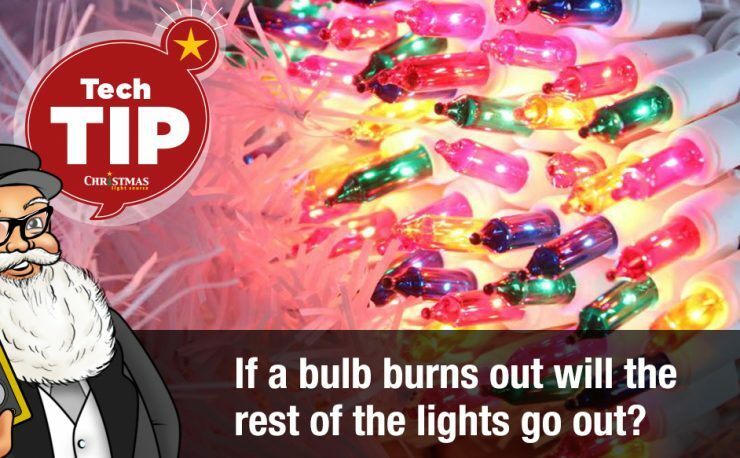 We suggest that you connect all of your Christmas lights into GFCI rated outlets when using them out of doors. And a word about surge protection…. We also highly recommend that you use an outdoor rated surge protector – they make these with built in timers – for your outdoor installations. LED lights are made of diodes that are like the components of your computer. In the same way that you would never plug a computer straight into a wall outlet, protect your LED lights from surges on the line and use a surge protector. A standard surge protector (like the one you use for your computer) is fine for indoor usage. As a random side note – which I’m rather famous for in my circle of friends – I learned from a retired New York state code inspector that the closer you are to hydroelectric power, then the more surges will appear on your line. So all you folks who use power generated by Niagara Falls or other hydroelectric facilities would be doubly wise to use surge protectors for your Christmas light display and save yourself the heartbreak of seeing your sets take a hit. What is the best cord for C9 LED bulbs? Sorry for my slow response. For a set of traditional incandescent icicle lights our sets can be run 3 sets in series. Thanks for your question. I have a question. So the article states that I shouldn’t go further than 250 feet of stringer with LED bulbs, but does that stand true if there are several splices in the wire in order to catch peaks? If not how many splices are allowed in a run? Yes, you’ll need to keep a close eye on that max length for 18 AWG wire. The best thing to do is to have a master electrical check out and work with you on your installation. I have regular “old style” mini lights on the same string as my new LED C9’s. About 5 strings altogether, 2 LED C-9’s and 3 100ct Mini’s. They work for about 5 minutes and then they all go out. I remove the string of mini’s closest to the power source and they work for 5 minutes again and they kapow again. Rather than go thru this litany for all the strings and I to conclude that I cannot connect LED C-9’s on the same string-to-string as old style mini’s? Sorry for my slow response but that is exactly right — you cannot mix LED and traditional lights in the same series circuit since glass, incandescent light strings pull MUCH more current than your LED sets. Split them into separate circuits after you replace any fuses if necessary. We suggest that you even keep LED lights from different manufacturers or styles on separate circuits since they don’t necessarily have the same specifications even though they are low amperage. Pull the non-working strings and plug them into a separate outlet one by one as a place to start to see if the issue is in the plug of the light string before it. Then check the fuses and replace them if necessary. That’s about as much as you can do with most sets of LED icicle lights. Be sure to plug your LED lights into surge protectors. How many strings of electrical lights powered by fuses can you have without effecting the lights and stop them from lighting up.?? That depends on the style of the light string – how many bulbs, how many watts they are rated at. Check the tags near the bases of the light strings and use the UL specification there to determine the max number of strings you can run in series. The current UL spec is 210 watts max. Am I misreading my tag, or do my lights have 61.2 volts? Is that even possible? Hey Julia, that is a weird spec!! Is that volts or possibly watts? Do they have a standard male plug? You’ve given me soemthing to think about! !